There are four tasks practicing all forms of verb to be. 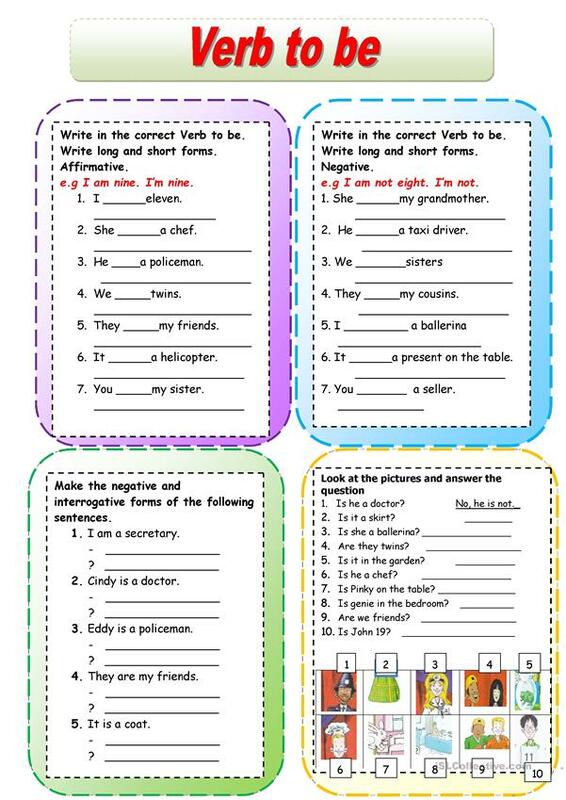 Ss need to write in correct form of the verb to be and answer about pictures. After this they can make up sentences using these pictures in their copybooks. The present printable, downloadable handout is meant for elementary school students at Beginner (pre-A1) level. It is great for teaching BE (auxiliary verb) in English. Hello, dear colleagues! I'm from Ukraine. I've been teaching English for 2 years. I'm fond of teaching English. I'm here not only for sharing and downloading teaching materials and also for communicating with other teachers in order to exchange our experience.